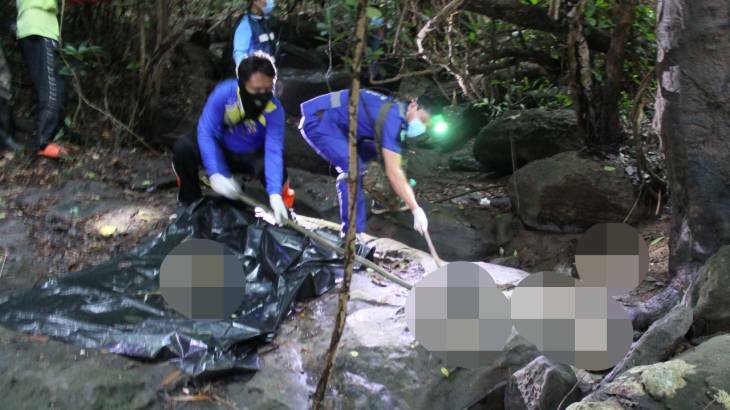 Police in the Na Kae district of Nakor Phanom have made a public appeal for help after a body was found on Sunday in the Khao Phu Pan national park. Villagers foraging in the area near a Buddhist sanctuary found the corpse that was just a decaying pile of bones. Initial estimates put the time of death at least a month ago, reported Thai Rath. Police are asking locals about relatives in the area who may be missing. The body was sent to Khon Kaen for a detailed autopsy with police unwilling to make any suggestions as to the circumstances surrounding the death.